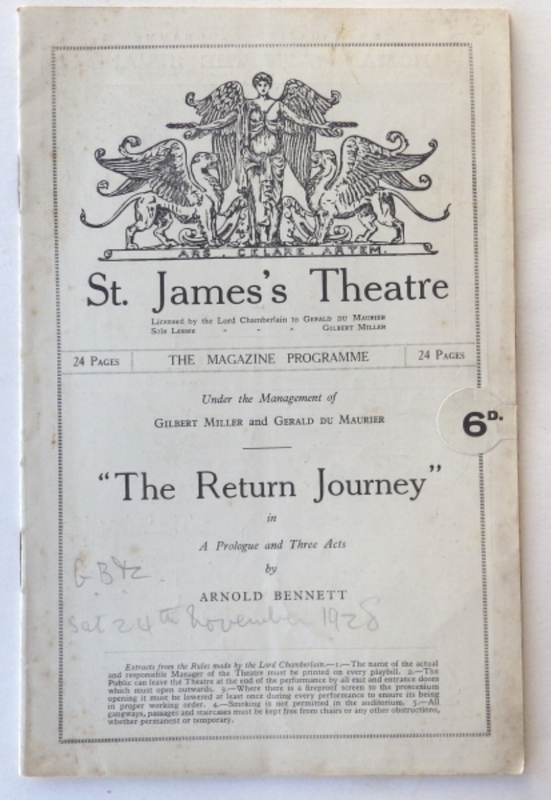 Arnold Bennett: The Return Journey play programme. St James’s Theatre. 24 pages; 215 x 140mm; printed wrappers. Pencil date of 24th Nov. 1928 on cover. Category: Programmes. Tag: Arnold Bennett theatre programme.